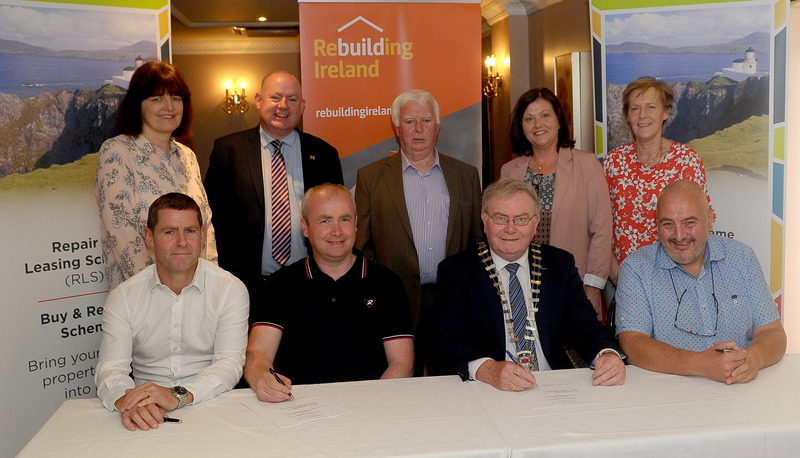 Re The Repair and Leasing Scheme, €140 million has been allocated towards the cost of funding the necessary repairs to properties out to 2021. Where a property requires repairs to bring it up to the standard for required for rented properties, the RLS will pay for the repairs up-front in return for the property being leased to a local authority or Approved Housing Body (AHB) to be used as social housing for a period of at least 10 years. Under the scheme, the cost of the repairs will be repaid by the owner by offsetting it against the rent due to the owner for the property over the period of the lease agreement. What kind of repairs will be paid for under the scheme? It is not envisaged that any level of significant structural works will be needed and in the majority of cases no planning permissions will be required. the property must be assessed as being viable to provide social housing. For how long must the property be made available for social housing? The minimum lease term is 10 years and the maximum term is 20 years. Within those limits, the length of the lease can be negotiated with the local authority and the duration may depend on the cost of the upgrade works. Who will be the landlord of the property? The local authority or AHB will be the landlord of the property; the property owner will have no landlord responsibilities. The properties acquired under this arrangement will be offered by the local authority or the AHB as accommodation to households who have been approved by the local authority for social housing. What are the benefits of RLS to a property owner? The return of the property at the end of the term in good repairand condition, save for fair wear and tear. Property owners seeking to apply for the scheme, or seeking further information, should contact their local authority. Minister Coveney is introducing a new funding scheme to support Councils and approved housing bodies (AHBs) to purchase and renew housing units in need of remediation, and make them available for social housing use. There is real potential for Councils to buy houses and suitable premises in cities/towns where there is a need for social housing, to remediate them and make them available to those on the waiting list. Similarly, approved housing bodies may have an interest in this, particularly where they are seeking town centre locations for specific housing needs. There is real challenge in this work: renewing vacant and derelict premises can be difficult and costly. Councils also target the provision of social housing where it is needed and will always have regard to sustaining a good ‘mixed tenure’ within communities. While recognising these challenges, there is also great opportunity in this initiative. It can be part of the response that Councils make in tackling dereliction and improving streetscapes in urban areas/towns. Councils and AHBs have been buying second hand housing in recent times to get ‘early delivery’ of new social housing units. This new initiative will allow them to focus on an area of acquisitions that avoids direct competition with private purchasers for good quality housing stock. It also taps into a potential supply of housing that may be sitting vacant. This ‘Buy and Renewal Initiative’ will also be complementary to the new ‘Repair & Leasing Initiative’ that the Minister announced in Rebuilding Ireland. It will mean that Councils and AHBs can approach owners of vacant, privately-owned houses in need of repair/remediation, with the option to either lease/repair the housing unit, or to buy and repair/remediate the unit. Louth County Council is already providing a good example of this work: they’re acquiring premises in Dundalk and Drogheda that are in need of repair/remediation and making them available for social housing. The Minister will make an initial €25 million available for this initiative in 2017 and proposes to increase this to as much as €50 million in 2018.